In the Tenpyo period(729-749A.D. ), Masaie the first was a swordsmith who lived in Onomichi in bingo province in Japan. Masaie the sixth is a swordsmith who founded the Japanese sword Yamato den Mihara school. In the late Kamakura period(1300-1333A.D. 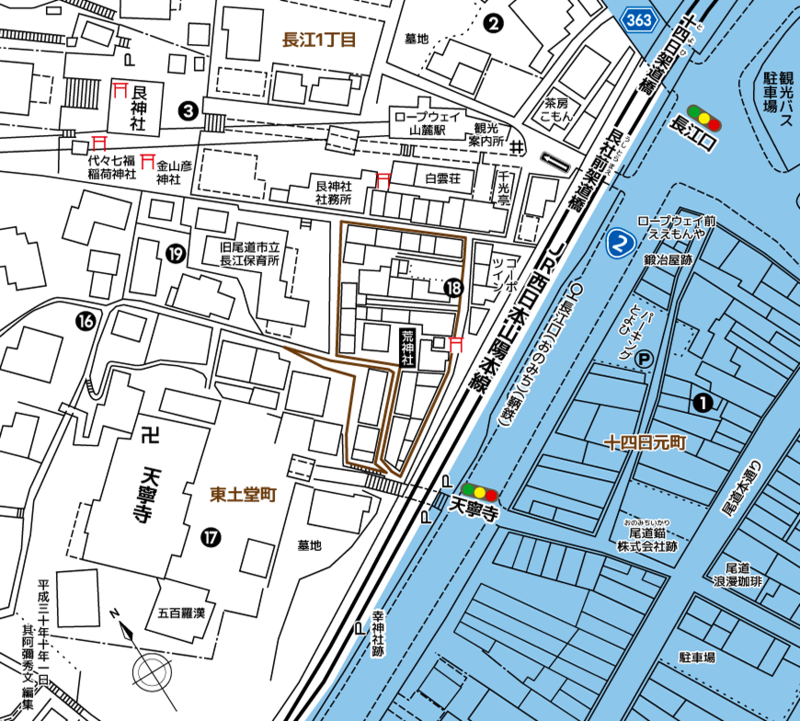 ), Masaie the sixth lived in a place surrounded by a dark brown line called Nakanodan of the Onomichi in bingo province in Japan. Also, at that time the blue part was the sea.